X Force is a spore fertiliser enriched by silicic acid in a form that can be assimilated by plants with a positive effect on their growth, robustness and resilience. X Force boosts chlorophyll production. X Force reduces sodium absorption and salt stress. X Force enhances potassium absorption. X Force protects from pests and moulds. 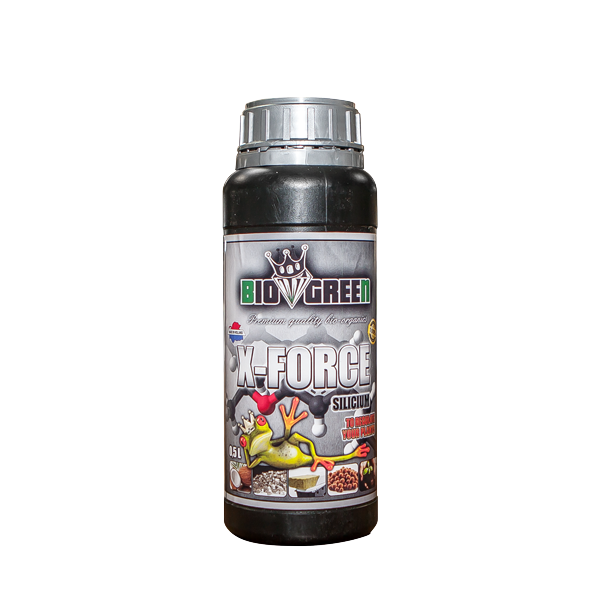 X Force protects from abiotic stressors such as draught, UV rays and large temperature changes.